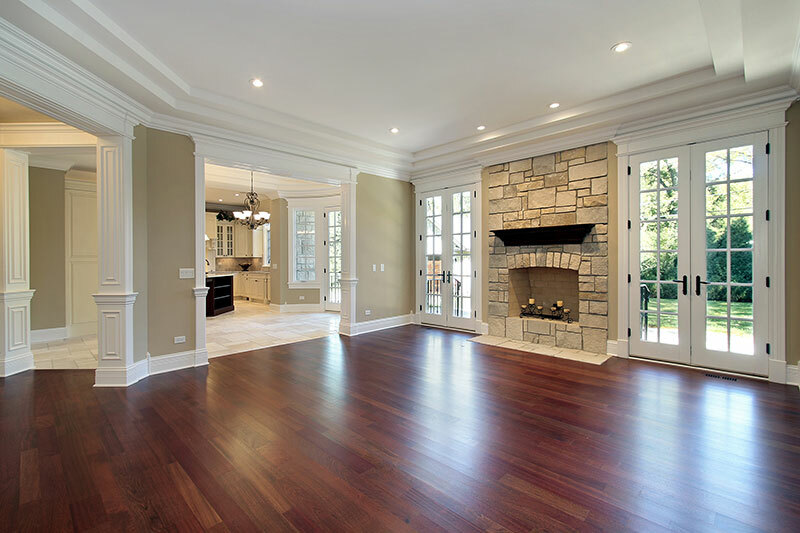 Summer Is The Perfect Time To Refinish Your Hardwood Floors! Summer is probably the ideal time to have your hardwood floors refinished because you’ll be on vacation and out of the way of the noise, dust and strong odors. Aside from that, if you’re one of the 3 million Americans moving this summer, you might want to refinish your floors before you move into your new home. The refinishing process at NewGen Restores begins with the removal of furniture, rugs and other loose items from your floors. Next we gently sand the floors down and expertly apply the stain/color of your choice. After that we add not just one, but actually 3-4 coats of protective finishing, also known as polyurethane, in a sheen of your choosing. It comes in Matte, Satin, Semi-Gloss and High Gloss. The end result is a beautifully refinished hardwood floor that you can enjoy for many years to come. When refinishing hardwood floors, you absolutely cannot have people walking on the floors during that time. The process can take anywhere between 5 – 7 days to complete, and even then heavy furniture can’t be moved back right away and may need a few more days. Getting your floors refinished while you’re away, or better yet, before you move into that new house is perfect timing – furniture can be moved without a hassle and no one/nothing is there to trample your newly finished floors. Aside from timeline concerns, it can get pretty loud with all of that sanding equipment. Even with recent technological advancements, sanding down floors can still be a noisy and dusty process. Some types of hardwood floor finishes can also carry a strong odor. The good news though is that choosing to refinish rather than replace hardwood floors can cost less than half the price of installing new flooring. This makes summer moving or vacationing the time to get this done. There are a few scenarios where a hardwood refinish might not be ideal, for instance, most engineered hardwoods have a ‘wear’ layer they are manufactured with. This is the layer of real wood that is at the top of engineered floors. If this layer isn’t thick enough, we wouldn’t recommend you refinish it. Additionally, if you have hand scraped wooden floors, refinishing might not be the best option as you will surely lose some of the unique characteristics of the wood. Also, another consideration is that every piece of wood is unique and they all show stains differently. We suggest you have us try out a few different stains on a small section of your floor before you decide which of your finalists best suits your home. Refinishing your hardwood floors is usually a great choice for many of our customers. The process will remove any scratches and bring the color and sheen back to your floors. If you’re ready to give your home an upgrade this summer by restoring your floor’s character and shine, then give us a call. NewGen Restores… where excellence never stops at the basics.